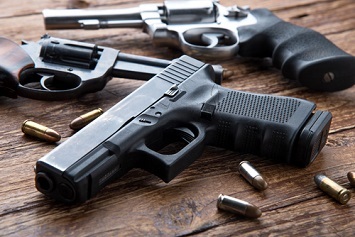 Does Your Organization Have a Sound Workplace Violence Prevention Strategy? Workplace violence is not industry specific and happen to workers in any organizations. With that in mind, the Occupational Safety and Health Review Commission (OSHRC) recently reaffirmed that workplace violence is a recognizable hazard and reminds employers that they are responsible for protecting employees from assaults and homicides. Violence is the third leading cause of fatal occupational injuries behind transportation incidents and falls, slips, and trips. In 2017, 807 workers died on the job due to violence, according to data compiled by the Labor Department’s Bureau of Labor Statistics (BLS). The figure does include 275 suicides but also includes 351 shootings and 47 stabbings. Any worker in any industry can experience violence in the workplace; but a BLS analysis found that occupations involving cash transactions are most likely to fall victim to work-related homicides. Occupational groups experiencing the highest rates of homicide include taxicab drivers and chauffeurs; police officers and detectives; private guards; executives, administrators, and supervisors; and truck drivers. Specific occupations in the executives, administrators, and supervisors group included chief executives, legislators, postmasters, purchasing managers, and real estate managers. However, managers of food-serving and lodging establishments suffered a disproportionate share of fatalities, usually occurring during armed robberies. Assaults on the job sometimes can leave workers disabled, resulting in workers’ compensation claims. A study of workers’ compensation claims over a 5-year period in Oregon found that assault claims averaged 58 days of time loss and $12,258 in claim costs per claim. Private sector service industries accounted for 39% of accepted disability claims due to violence, and state and local governments accounted for 41% of claims. The assailant in 41% of compensable assault claims was a healthcare or residential care patient. Nursing aides had the highest percentage of assault claims (17%), followed by police officers (12%), guards (6%), and teachers (6%). There is no federal workplace violence prevention standard. However, OSHA can and does cite employers under the General Duty Clause for failing to protect employees from incidents of violence while on the job. The agency’s rationale, recently reaffirmed by the review commission, is that if a hazard is recognizable and can cause serious harm, it falls within the scope of the General Duty Clause. However, some states have developed standards concerning violence in certain workplaces. California and Oregon both have laws that require workplace violence prevention programs in hospitals and other healthcare facilities, and New Mexico has security requirements for convenience stores. The American Society of Safety Professionals’ technical report, “How to Develop and Implement an Active Shooter/Armed Assailant Plan,” (ASSP TR-Z590.5). The chief of the Orange County, Florida, fire department requested that NFPA develop a standard for preparing for and handling mass shootings, following the June 2016 shooting at the Pulse Nightclub in Orlando. The main audiences for NFPA provisional standards are communities and first response agencies. ASSP’s recommendations lay out steps for employers, covering all aspects of active shooter prevention and response. Handle postincident issues, for instance, creating a business continuity plan in case the facility must remain closed while law enforcement agencies process the crime scene. Because of their familiarity with facility operations, processes, and potential threats, employees play a critical role in hazard identification and worksite analysis. Employers should consult employees in employee assistance, human resources, occupational safety and health, operations, and security. Hazard identification should also involve a review of records, including injury and illness logs, as well as employee surveys and individual job hazard analysis. A worksite analysis of a retail establishment would also consider whether the business has had to address other crimes like shoplifting. It should consider the types of patrons (for example, alcohol or drug users) and physical security factors like building layout and exterior and interior lighting. For drivers, barriers such as bullet-resistant glass can be effective engineering controls, as well as in-vehicle security cameras, “silent alarms,” and vehicle tracking devices such as global positioning satellite systems. In late-night retail stores, engineering controls would include clear views for employees and police by keeping shelving low and signs high or low in windows. Store owners or managers also should ensure cash registers or customer service areas are clearly visible outside the store. All employers need administrative and security procedures when handling employee terminations, including during layoffs or a reduction in workforce. Job loss and economic insecurity can be stressors that lead to violence in the workplace. Statements showing fascination with incidents of workplace violence, statements indicating approval of the use of violence in similar situations or the use of violence to resolve a problem, and statements indicating identification with perpetrators of workplace homicides. Using trained security officers, as well as personnel trained in de-escalation. Developing and implementing procedures for proper use of enclosures and pass-through windows. Training should cover the workplace violence prevention policy and related facility policies and procedures. It also should include hands-on sessions in de-escalation and self-defense techniques. Policies and procedures for reporting and recordkeeping. 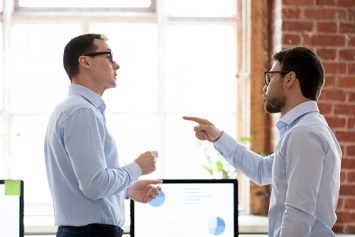 Any workplace violence prevention program must be tailored to an employer’s industry and geographic location and must consider the hazards unique to their business or facility.